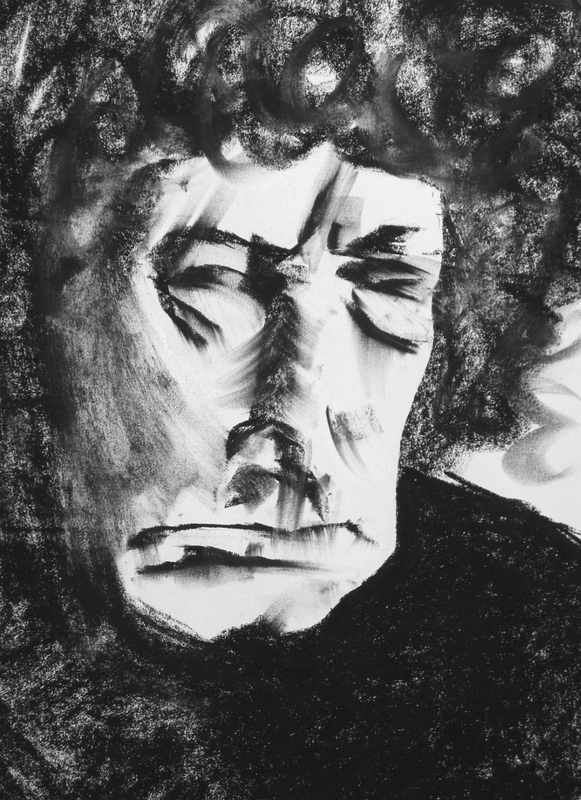 Brett Whiteley found Arthur Rimbaud's poetry intensely meaningful. It spoke to him of his own inner turmoil. I suspect it gave voice to his anguish over addiction. "I am weary, I die. This is the grave and I'm turning into worms, horror of horrors! Satan, you clown, you want to dissolve me with your charms. Well, I want it. I want it! Stab me with a pitchfork, sprinkle me with fire. Ah! To return to life! To stare at our deformities. And this poison, this eternally accursed embrace! My weakness, and the world's cruelty! My God, have pity, hide me, I can't control myself at all! - I am hidden, and I am not." He would listen Steve Kilbey's recitation of A Season In Hell as he worked. You too can listen to Steve Kilbey in this Youtube clip. For some the notion of hell no longer holds sway, so it's meaningful to me here that hell becomes the metaphor for the worst of the worst. This is a wonderful painting and now I recognise it as yours, Harry, but it could have been Whiteley's in its essence. And aren't you glad you don't live in Rimbaud's time - the tortures then, however exaggerated for literary purposes? Unbearable. Thank you so much, Elizabeth. Yours is high encouragement indeed. Yes, all extremely unbearable. Rimbaud was the epitome of the tortured adolescent. His poem commences with him drinking poison and then giving us an impassioned account of dying. It has spoken to many troubled souls since, including Brett Whietley.